Davines Oi Absolute Beautifying Value Set. - FREE SHIPPING (in the U.S. only). Davines OI Absolute Beautifying Shampoo 9.46 Oz: Sulfate and Paraben Free. Perfect for all hair types. Nourishes and makes hair silky and shiny. Color-safe formula. 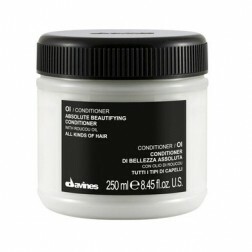 - Davines OI Absolute Beautifying Conditioner 8.45 Oz: Adds softness, shine and manageability. 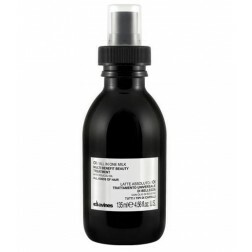 - Davines OI All in One Milk 4.56 Oz: Multi-benefit hair treatment with ROUCOU Oil. Makes hair silky, shiny, and frizz-free. 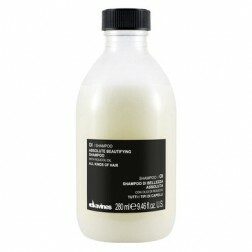 - Davines OI OIL Absolute Beautifying Potion 1.69 Oz: Perfect combination of treatment and styling in a single product. Multi-benefits. Perfect finishing product. Fights frizz and adds extraordinary shine and silkiness. Davines OI OIL Absolute Beautifying Potion: Cyclopentasiloxane, Disiloxane, Dimethiconol, Cyclohexasiloxane, Ethylhexyl Methoxcinnamate / Octinoxate, Parfum/Fragrance, Bixa Orellana Seed Oil, Citronellol, Geraniol, Linalool, Alpha-Isomethyl Ionone, Limonene, Tocopherol. SHAMPOO: Water, Sodium Laureth Sulfate, Decyl Glucoside, Hydrolyzed Wheat Protein, Sodium Chloride, Cocamidopropyl Betaine, Panthenol, Propylene Glycol, PEG-200 Hydrogenated Glyceryl Palmate, Fragrance, PEG-40 Hydrogenated Castor Oil, Tetrasodium EDTA, Polyquaternium-10, Glyceryl Laurate, Diazolidinyl Urea, PEG-7Glyceryl Cocoate, Citric Acid, Methylparaben, Sodium Cocoyl Hydrolyzed Wheat Protein, propylparaben, Saccharomyces/ Copper Ferment, Saccharomyces/ Silicone Ferment, Linalool, Citronellol, Coumarin, Geraniol, Limonene, BCC12-Base. CONDITIONER: Water, Sodium Laureth Sulfate, Decyl Glucoside, Hydrolyzed Wheat Protein, Sodium Chloride, Cocamidopropyl Betaine, Panthenol, Propylene Glycol, PEG-200 Hydrogenated Glyceryl Palmate, Fragrance, PEG-40 Hydrogenated Castor Oil, Tetrasodium EDTA, Polyquaternium-10, Glyceryl Laurate, Diazolidinyl Urea, PEG-7Glyceryl Cocoate, Citric Acid, Methylparaben, Sodium Cocoyl Hydrolyzed Wheat Protein, propylparaben, Saccharomyces/ Copper Ferment, Saccharomyces/ Silicone Ferment, Linalool, Citronellol, Coumarin, Geraniol, Limonene, BCC12-Base. OIL: Cyclopentasiloxane, Disiloxane, Dimethiconol, Cyclohexasiloxane, Ethylhexyl Methoxcinnamate/Octinoxate, Partum/Fragrance, Bixa Orellana Seed Oil, Citronellol, Geraniol, Linalool, Alpha-Isomethyl Ionone, Limonene, Tocopherol. MILK: Water, Cetearyl Alcohol, Butylene Glycol, behentrimonium Chloride, Glycerin, Panthenol, Hydrolyzed Keratin, Quaternium-80, Ceteareth-20, Cyclohexasiloxane, Cyclopentasiloxane, Fragrance, Disodium EDTA, DMDM Hydantoin, Iodopropynl Butylcarbamate, Limonene, Linalool, Butylphenyl Methylpropional, BCC12-Base.